Founded by May Hamid, Argan Liquid Gold is made with the finest grade, 100% pure natural and organic argan oil sourced directly from suppliers in Morocco, where women in Berber tribes have sworn by the health and beauty benefits of the luxurious oil for years. 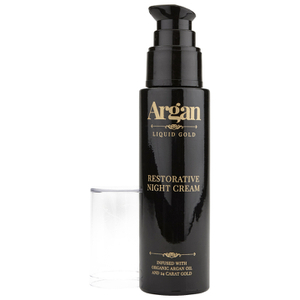 The brand’s name comes from argan oil’s nickname, ‘liquid gold’ due to its golden colour and is carefully traced to ensure that it is pure and uncorrupted. It’s then housed in dark glass bottles to preserve its healing and moisturising qualities. Suitable for use on all skin types, it effectively reduced and heals scarring and alleviates problematic skin conditions. 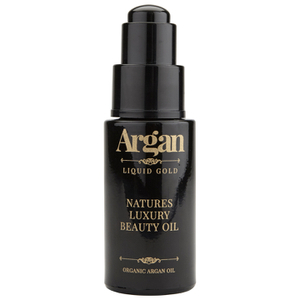 The Argan Liquid Gold Natures Luxury Beauty Oil is a fast-absorbing elixir with multiple skin benefits to nourish, hydrate and rejuvenate skin to reveal a fresh, youthful appearance. It fights signs of premature skin ageing by minimising the appearance of fine lines, wrinkles and age spots whilst defending against free radical damage. By protecting your collagen levels, you’ll be left with soft, smooth and supple skin. Re-balance, refine and create a flawless canvas to perfect your complexion with the Argan Liquid Gold Multi-Tone BB Cream. Made with 24 carat gold and 1st grade pure argan oil, it melts effortlessly onto the skin to restore luminosity and infuse the skin with optimum hydration. Delivering a natural even colour, it covers imperfections and you can wear alone or under makeup for soft, supple, glowing skin.